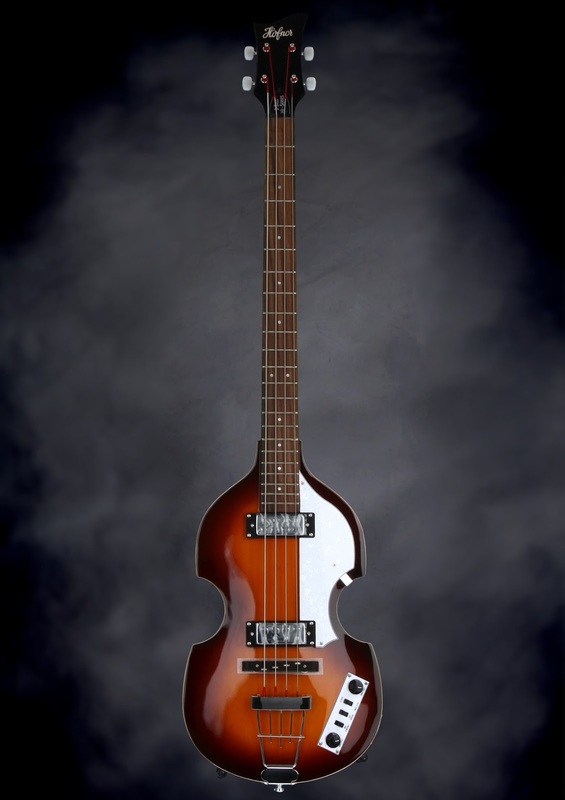 Most every bass player on the planet over the age of 40 can picture Paul McCartney playing his Hofner bass as he stood up in front of The Beatles. I have never had the desire to own one of these instruments, though I have often wondered how well they play. After trying out their super bargain basement version Ignition Series Vintage Violin bass I still have to wonder, as there is no way he played something this crummy if he had any other choice. 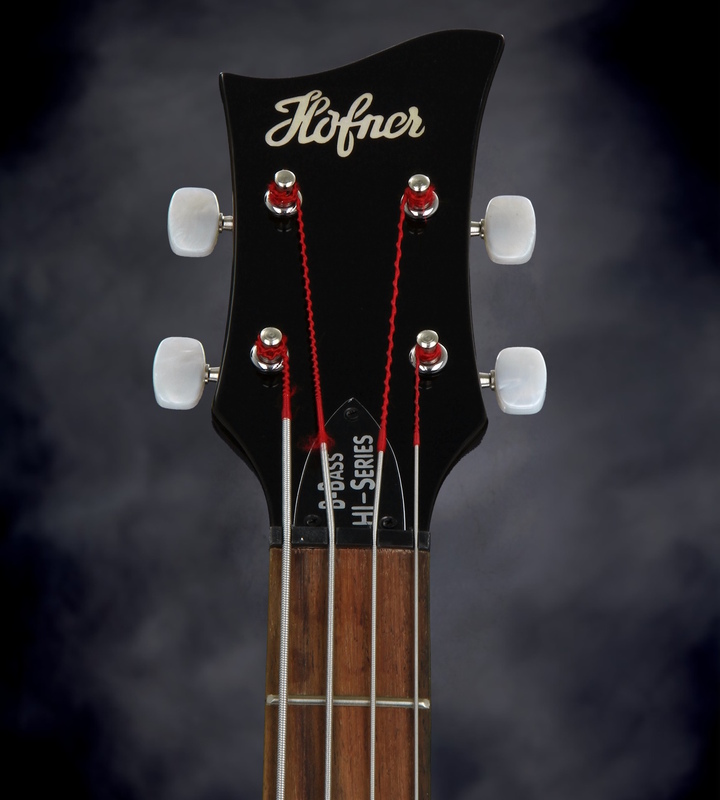 These unique basses go back 60 years, when they were designed by Walter Höfner in 1955. 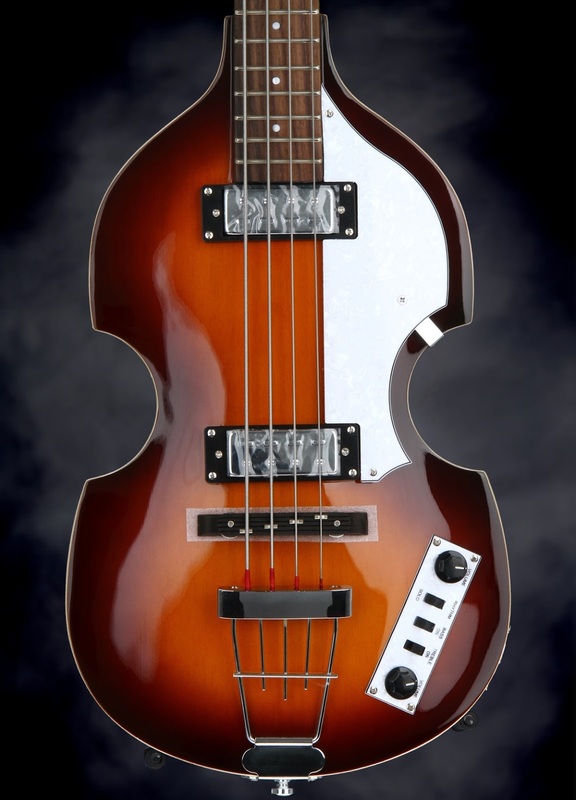 The 500/1 Violin Bass is the one that McCartney plays, and they are still being made in Germany, with price tags that approach $5000 ($3500 street), and they must be at least pretty good for that kind of money. Now, the Ignition Series instruments like the one I am reviewing are made in China, and judging by this example they are miserable chunks of crap. If you take a casual glance at this violin bass, it has the same shape and style as the original. 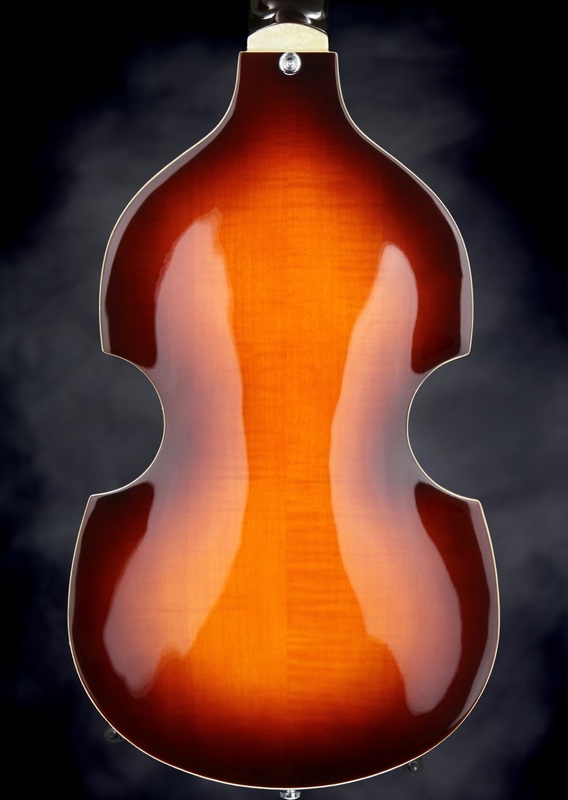 It has a spruce top and flamed maple sides and back. It is available in sunburst or black, though why would you ever get a black one? McCartney didn’t play a black one. 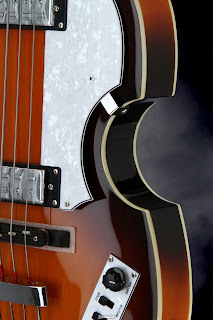 There is simple white binding on the semi-hollow body and a “mother of toilet seat” pickguard to give it a classier look. The set neck is made of maple and beech with a rosewood fretboard. This 30-inch scale neck has 22 frets and little dot markers set into it. 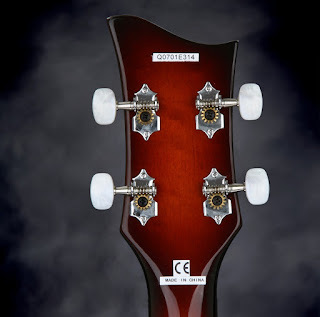 The neck is not bound and the nut is 42mm wide, and it has a relatively thin profile so those with smaller hands might be happy. On to the hardware and electronics. Tuners are open-geared nickel-plated Waverly copies and the bridge is rosewood with what looks like little chunks of frets set into it. 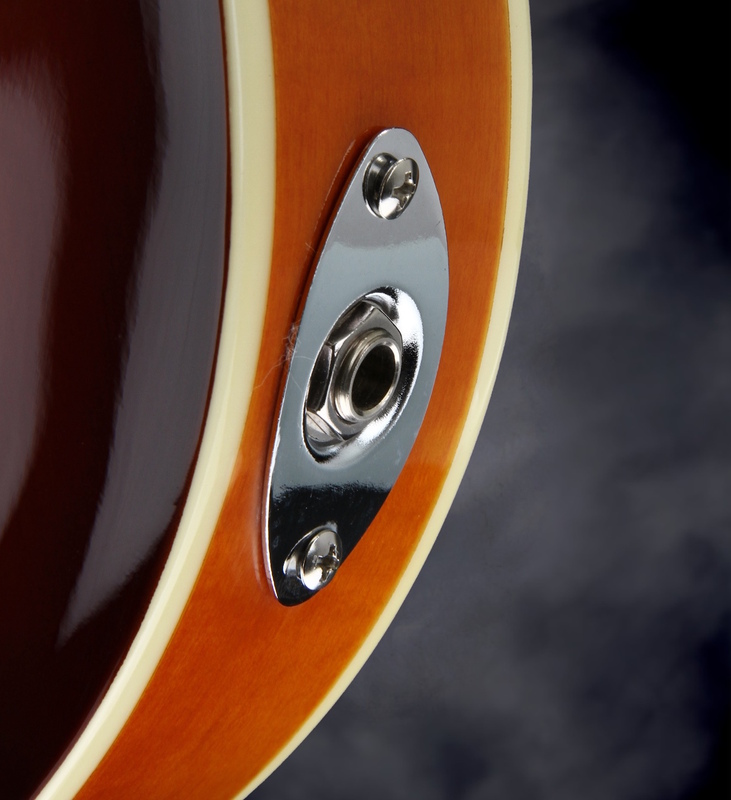 There are two humbucking pickups that are wired through a volume and a tone knob. There are also three switches: bridge pickup ON/OFF, neck pickup ON/OFF, and a rhythm/solo switch. This all sounds pretty good, but when I looked at how this thing is put together and how it sounds things go south in a hurry. The finish on the body is poor, with fisheyes and dirt in the paint. The binding is sloppily applied, with finish running over the edges of it, and a portion of it looks like it is already coming loose. Everything about the neck is terrible. 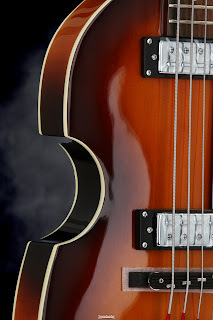 The frets are not level, and the edges have such a large ramp on them that the E and G strings easily come off the edges of the fretboard when digging in a bit. The headstock end of the fretboard looks like it was cut with a chainsaw and you can see the chipped end in the gap between the fretboard and the very crudely cut nut. On to the electronics! This thing sounds terrible. The pickups have almost no output, and the tone knob seems to do nothing at all. It plays terribly too. Because the nut is cut so high the action is incredibly high on the first few frets, and the intonation is especially bad on these. Intonation is universally bad on the rest of the frets, and there is virtually no way to get this thing so that most of the notes on each string are in tune. Should you go against my recommendations, at least you will not be paying a ton of money. 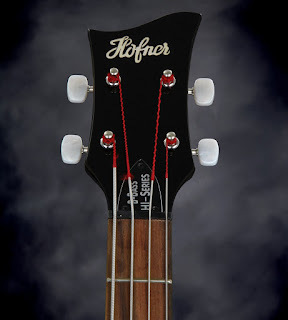 The Hofner Ignition Series Vintage Violin bass has a street price of $349 (List $499), and no case is included. Do not say I did not warn you, though. Yeah, not the best choice. Sorry to hear that these are so poor. The current German made ones are of pretty stellar workmanship compared to the late 1960s/1970s models. The guitars were always pretty nice. well my B-Bass HI-Series made in Indonesia is great , the action is low to medium not ugly fretbuzz , the intonation is good , the finish has little dings in some areas because this bass is a used one from a previous owner but nothing to get worried about doesnt have dangerous cracks the sound with roundwounds is also good soon Im goint to put flatwounds to see if that works better for me . I play goth metal with Non Mortis and also in a band of covers ( classic rock, pop , latin , etc. ) here in Gdl México , been playing bass since 1987 I own many basses from Fenders to Gibsons , Kubicki Ex Factors , Music Man sting Rays etc. etc. nice bass and also sounds very similar to the originals made in germany , got one while you can !!! I agree with the above. 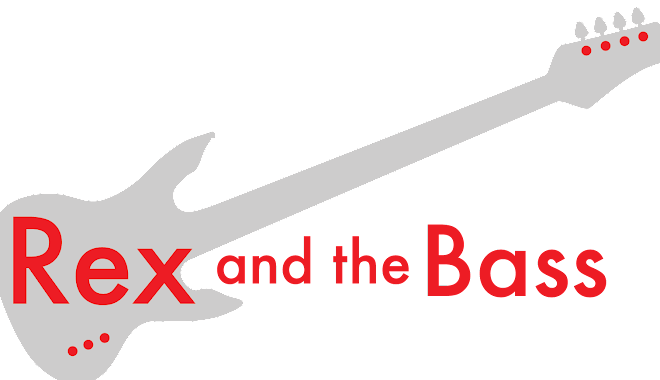 I own 14 basses-ranging from a 1966 Fender Precision,Danelectros,Gretsch,Mustangs etc. And I find this bass to be one of the most enjoyable to play! 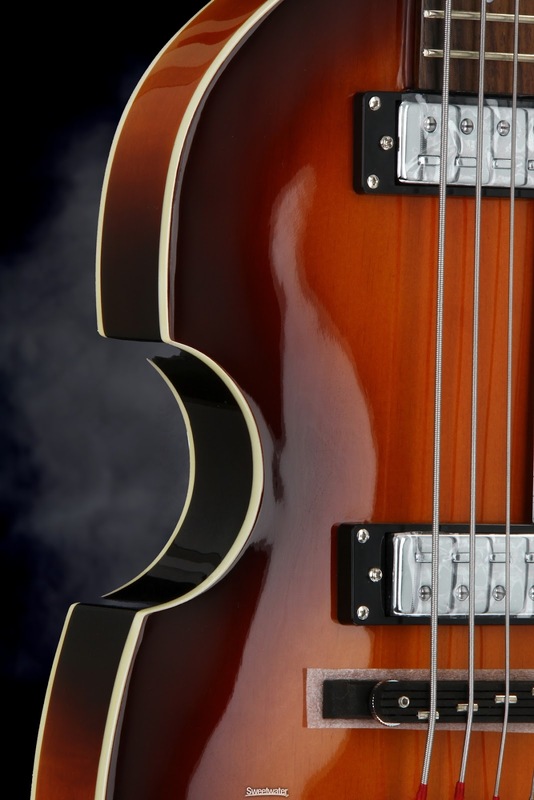 The fit and finish on mine are superb-and I bought it used from Musicians Friend for $289.It is a one trick poney-however-you'll get a Hofner sound and thats it-no sustain. But for what it does-it does wonderfully. Thats the 2 cents from a bass player for 48 years!